An airstrike in Yemen has struck a boat in the Red Sea, killing 42 Somali refugees and wounding at least 25 others, according to a United Nations agency and medical official. The victims were carrying UN Refugee Agency (UNHCR) papers, according to the International Organization for Migration (IOM). Mohammed Abdiker, emergencies director at the IOM in Geneva, said that about 90 survivors were taken to nearby detention centers, estimating around 75 men and 15 women. The IOM’s Yemen chief of mission, Laurent De Boeck, said the agency believes everyone on board were refugees, though it was not immediately clear where they came from in Somalia. He went on to say the IOM is in contact with the hospital, clinics, and detention center in order to provide medical care to the survivors. 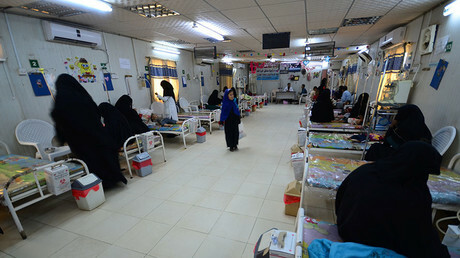 Many of the wounded lost arms and legs in the strike, the Yemeni medical official told AP on condition of anonymity. The medical official said the bodies of the dead were being retrieved from the sea and taken to the morgue of a hospital in al-Thawra. 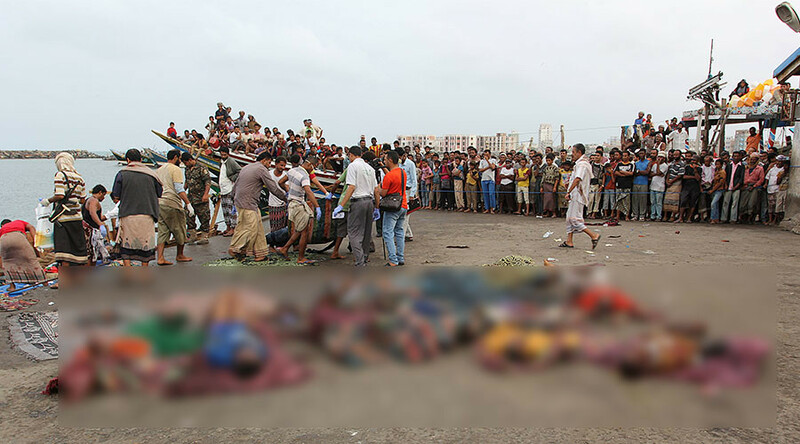 Some of the bodies were laid in a fish market in the town of Hodeida, due to a lack of space in mortuaries, according to Abdiker. Yemeni coastguard official Mohamed al-Alay said the refugees were traveling from Yemen to Sudan when they were attacked by an Apache helicopter. A Yemeni people trafficker who survived the attack also told AP that the boat had been hit by fire from a helicopter gunship, and that children were among the refugees. He said that panic erupted among the refugees when the helicopter opened fire. The asylum-seekers were then able to hold up flashlights to show the aircraft that they were migrants. He said the helicopter then stopped firing, but only after it had killed the victims, the Guardian reported. The Friday strike took place off the coast of Hodeida province, close to Bab al-Mandab Strait, the rebel-run SABA news agency reported. It did not say who was behind the strike. Meanwhile, IOM spokesman Joel Millman said he was unable to confirm news reports that an Apache helicopter gunship was responsible for the attack. “Our confirmation is that there are dozens of deaths and many dozens of survivors brought to hospitals,” he told AP in Geneva. Abdiker said survivors gave "conflicting messages" about whether the attack came from a military vessel or an attack helicopter that had taken off from the vessel. He went on to call the attack "totally unacceptable," adding that those responsible should have checked who was aboard the boat "before firing on it." African migrants often head to Yemen, as it is a transit point to Saudi Arabia, where they seek jobs and a better life. Hodeida province has been under heavy airstrikes for the past two years, since the Saudi-led coalition joined the country’s civil war to stop Houthi advances in Yemen in March 2015. Armed by the US and UK, the coalition is allied with Abd Rabbu Mansour Hadi, who fled to Saudi Arabia when the Houthis took power. Hadi’s administration continues to be Yemen’s internationally recognized government. The coalition has long been accused of civilian casualties, a claim which it has adamantly denied. However, October figures from the UN Office of the High Commission for Human Rights (OHCHR) state that the conflict has claimed the lives of at least 4,125 civilians and left at least 7,207 wounded, with the majority of casualties caused by coalition airstrikes. 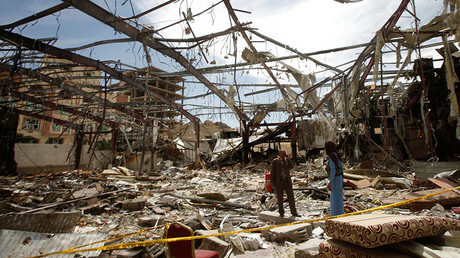 In January, a senior UN official said it is estimated that the death toll in the conflict has surpassed 10,000 people. Meanwhile, Amnesty International stated earlier this week that Washington’s arming of the coalition could implicate the US in war crimes and result in even more civilian deaths. 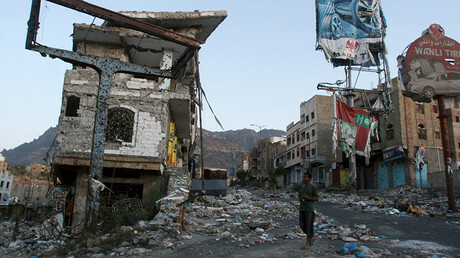 Amnesty USA executive director Margaret Huang warned that it would be like “throwing gasoline on a house fire and locking the door on [the] way out” if Washington approves arms deals while simultaneously barring Yemenis from entering the United States, referring to Trump’s proposed travel ban, which would ban citizens from six countries, including Yemen. “The US should not continue to arm governments that violate international human rights and humanitarian law and simultaneously shut its doors to those fleeing the violence it escalates,” Huang said.